Univ Of Minnesota Press, 9780816699568, 160pp. Aunt Ida would boil him in the laundry cauldron if she knew where he was. On the long wagon ride to the old homestead, she warned them about the Gypsies they’d encountered, and now here he was, ducking into a colorful caravan with Samson, a Gypsy boy he had met . . . underwater. And it was the best thing to happen since they’d moved from Stillwater to this lonely, hard place to try to reclaim the decrepit family farm. Missing his friends and life as it was before his brother’s accident and his mother’s silent grief, fourteen-year-old Martin Gunnarsson is trying to hold his family together on the homestead where his ancestors died of diphtheria in 1865. The only one who had survived was his father, a baby found in the arms of his older sister Cora. 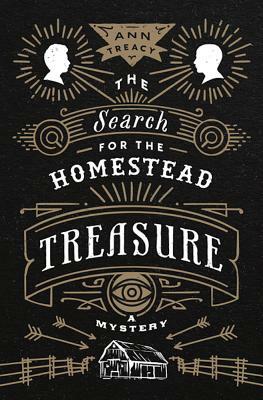 But somehow rumors of a treasure on the farm survived, too, and when Martin discovers Aunt Cora’s journal in a musty trunk in the hayloft, he thinks it might give him a clue. But what exactly is he looking for? Reading Cora's diary in secret, and just as stealthily becoming fast friends with Samson and his Roma family, Martin slowly begins to see his new surroundings, and himself, a little differently. But only when he recognizes that his small sister, for so long a mere pest, holds the true key does Martin start to understand where the real treasure might be found. Ann Treacy is coauthor (with Margi Preus) of A Book of Grace. Her writing has appeared in Lake Superior Magazine as well as Highlights for Children magazine. She lives in Duluth, Minnesota.